The late Sean Taylor will be inducted into his alma mater’s sports hall of fame in 2015. Image via hurricanesports.com. 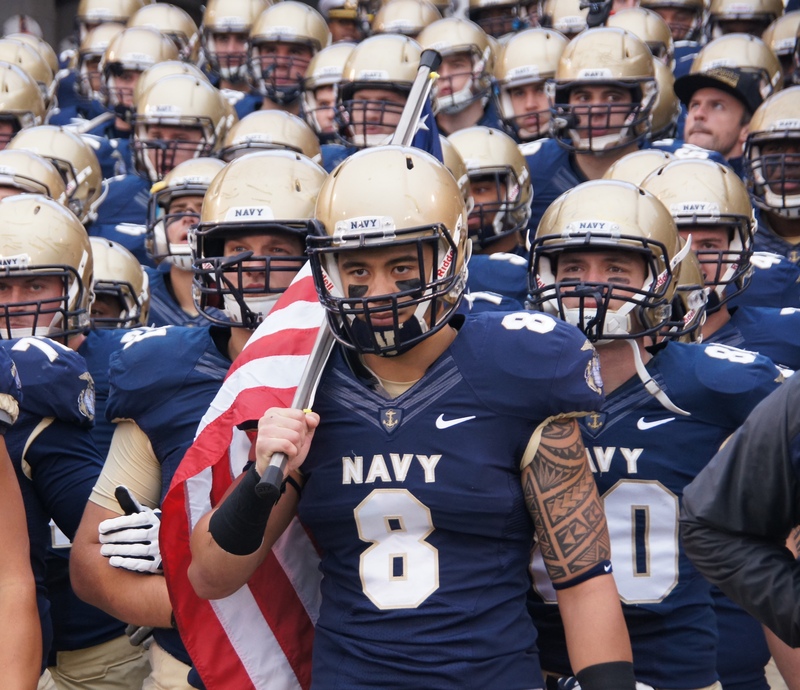 Former Navy safety Wave Ryder waits for the Midshipmen to be introduced before their game against South Alabama on November 16, 2013. Photo by Jake Russell. It’s not often someone gets to literally and figuratively live out his name. But that’s exactly what former Navy football player Wave Ryder has done since childhood.